With the house project continuing at a snail's pace, and without heating this week, rather than waiting for calm to come to me - I've been seeking out ways of creating my own oasis, or 'bubble' as I like to call it. 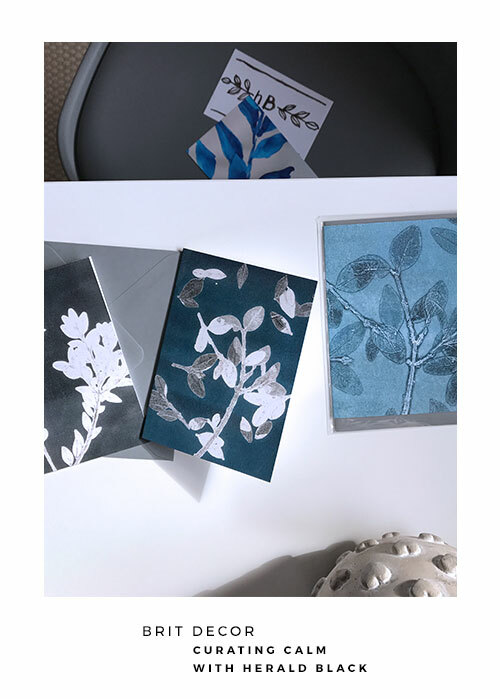 I recently treated myself to a second artwork from Hackney based printmaker & artist Stephen Dow, aka HeraldBLACK, entitled Midnight Garden II, along with three corresponding stationery cards from the same range and in a delicious palette of charcoals and teals for some #paletteperfection. 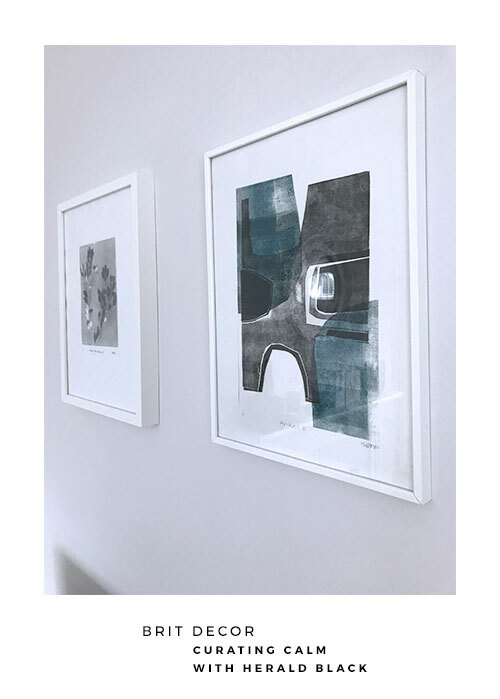 Regular readers of the blog may already be familiar with my first piece from Stephen, Arches III, which has regularly featured on my instagram account. This latest purchase wasn't just an indulgence, it was also a good excuse for some art therapy. 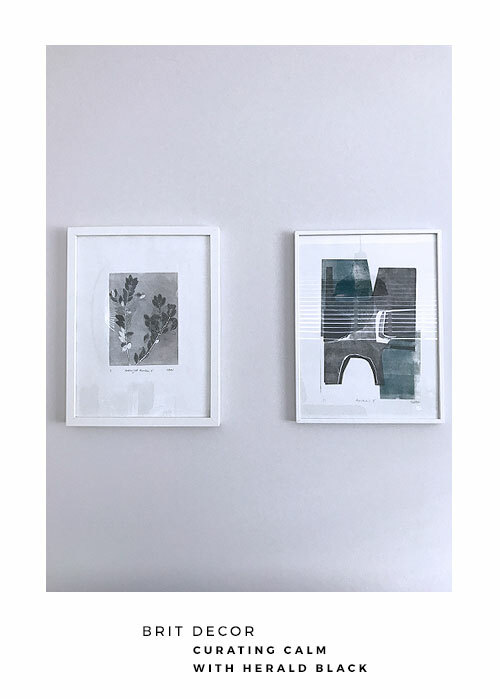 I always find the process of selecting artwork for my walls at home such a therapeutic one, as I carefully layout each piece side-by-side and in various combinations to make sure everything 'flows'. 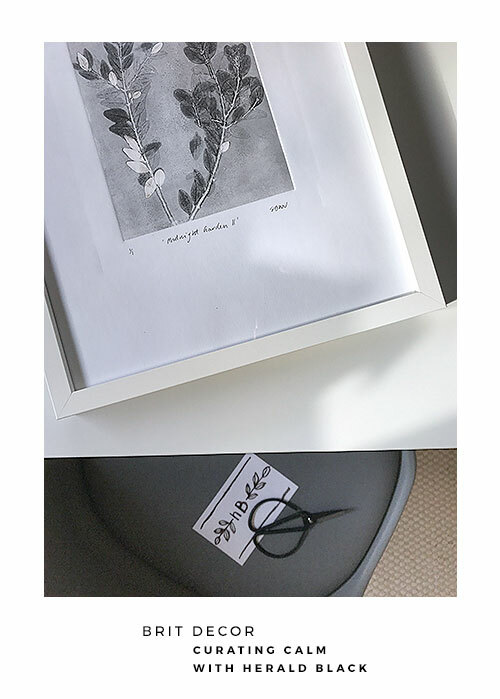 Then there's the process of choosing a frame - the wrong decision can instantly detract from the very artwork that you are trying to showcase, so I allow myself plenty of time to make the right choice. Finally there's the positioning and hanging of the art, which is the really fun part as you get to see the impact that the piece(s) have on the rest of the room. 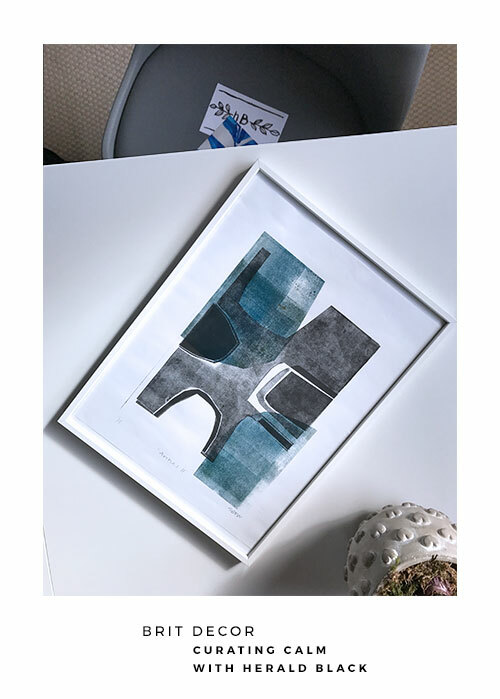 In this case, the spectrum of sophisticated greys and teal, added a restful element to my living room - the perfect antidote to a stressful week.